Originally part of Centaurus, Augustine Royer described it as a separate constellation in 1679. It appears on the flags of Australia, New Zealand, and Western Samoa. Two of its stars, Gacrux and Acrux, point to the south celestial pole. Each map can be clicked on to produce a 916x1200 version of it. They sport red labels, which look good on screen, but which disappear when used with red flashlights. Each map, therefore has a second link to a map better suited for printing in a graphics program, and using in the field. While they are quite large, they are all about 50k, and so are easy to view at today's modem speeds. The first map is a wide area view of the constellation, suitable for naked eye browsing. The next views are binocular width, showing stars to mag. 10, deepsky objects to mag. 12.9, and labeling deepsky objects to magnitude 12. Click the map for a 916x1200 version of the above. Click here for a map better suited for use in the field. Caldwell 94 (NGC4755) is called the Jewel Box, based on John Herschel's comment that it looked like a superb piece of jewelry. One of Dreyer's very remarkable objects, he describes it as very large (10'), rich, with several very bright stars, including Kappa Crucis. Most are tinted bluish, but the 4th brightest is distinctly reddish, making for a fine contrast. There are about 50 stars in this cluster, ranging from mag. 6-10. Images from the NGC Image Archive, and the Anglo-Australian Telescope. 11k JPEG. 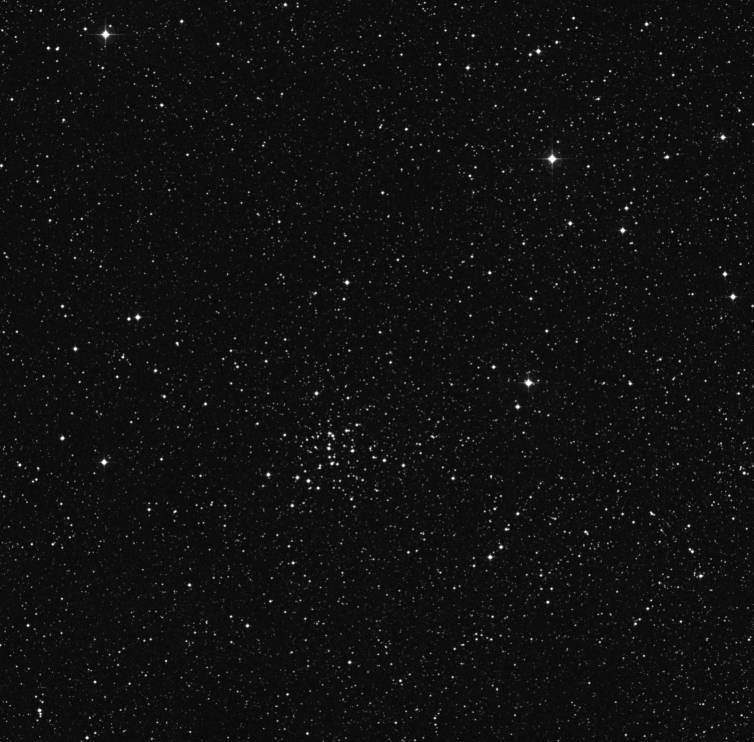 Caldwell 98 (NGC4609) is an open cluster located 1.8° east of Acrux (Alpha Crucis) on the edge of the Coal Sack. Dreyer calls it fairly large and condensed, also quite elongated. This cluster contains about 40 stars of mag. 9 and fainter. From the Digital Sky Survey. 71k JPEG. NGC4103 is a mag. 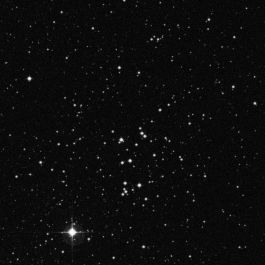 7 open cluster located 2.7° SSW of Delta Crucis. Dreyer calls it fairly large, fairly condensed, and irregular, with about 45 stars from mags. 10-14. Image from the Digital Sky Survey. 32k GIF. Caldwell 99 is a dark nebula called the Coal Sack. It's the huge (7°x5°), purple blob located just east of Acrux (Alpha Crucis). Noticed first by 16th century Portuguese sailors, it stands out as a star poor area in the southern Milky Way. Click here for a map better suited for use in the field.